We know Christmas is coming when the magical Myer Christmas Windows have been lit up in Melbourne's Bourke Street Mall. This year's beautifully animated production is based on the new children’s book, ‘One Christmas Eve’ by author Corinne Fenton and illustrator Marjorie Crosby-Fairall. The story is set on Christmas Eve in 1968 in St Kilda and features 3D adaptions of some of Melbourne’s most iconic sites including Luna Park, The Palais Theatre and the Sidney Myer Music Bowl. The Myer Giftorium and Santaland are also now opened for some personalised gift shopping and Santa meet, greet & photos. You can grab a copy of 'One Christmas Eve' from the store. The Myer Windows are now open and will close on Thursday, 5 January 2017 at 1am. The Windows are open from 7:30am daily, finishing with the last show at 1:00am (with sound stopping from 10:00pm daily). 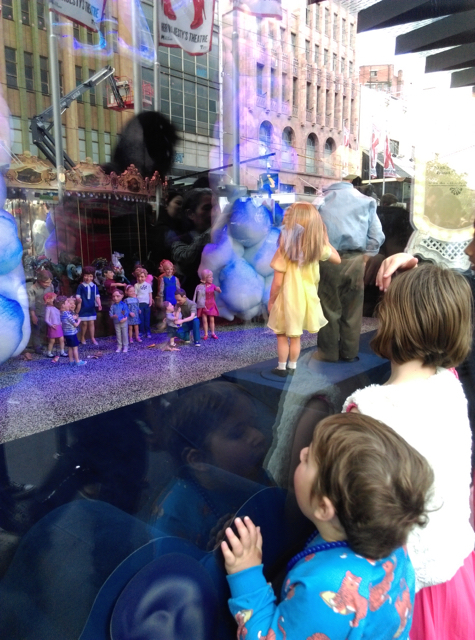 Thank you Kel from Melbourne Minor for the gorgeous photos of the Myer Windows. For a full list of activities and events this festive season, head to our Christmas lineup. For more ideas on what to do with the kids this Christmas season, head to our blog.